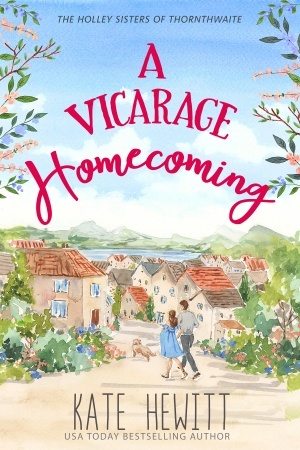 Can she find happiness and love in the place she once only wanted to leave? As the youngest Holley sister, Miriam has always been a bit of a rebel. After spending several years backpacking through Europe and Australia, she’s now back home… unemployed and pregnant, with no boyfriend or husband in sight. At first, Miriam only wants to hide away from the shocked and prying eyes of her father’s parishioners, but her sisters won’t let her. 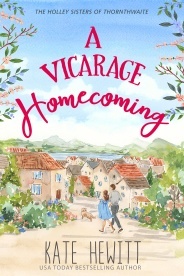 Determined to help her find her way, they urge Miriam to accept a job working as an assistant to Simon, the new vicar… and to think about what will happen when the baby comes. As Miriam starts putting down roots, she finds an unexpected friendship in her sister Rachel’s ex-fiancé, Dan Taylor. And as she thinks about her future, she finds hope and healing in the most unexpected places. But when the past rushes up to meet both her and Dan, can Miriam stay the course?